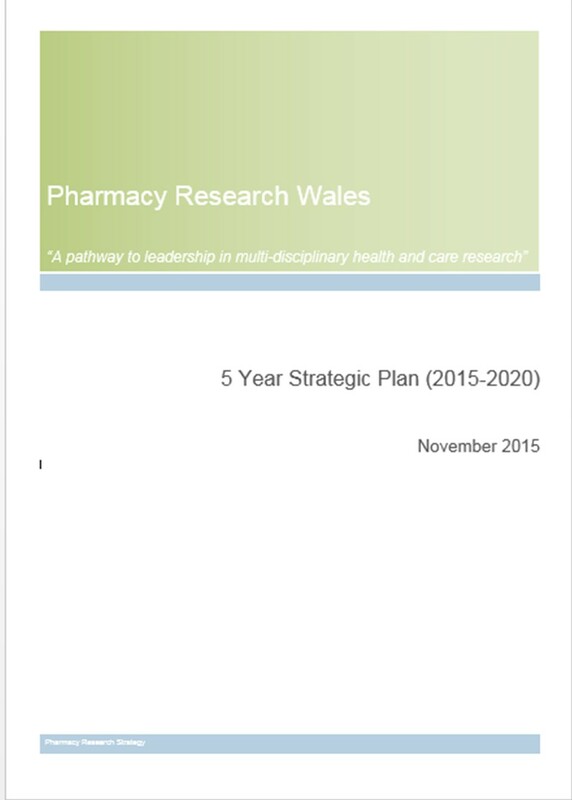 The Pharmacy Research Wales: 5 year strategic plan (2015-2020) is led by the All Wales Chief Pharmacists Committee and is the product of a wide reaching consultation process both within and outside of the pharmacy professions. The strategy sets out recommendations for a more flexible career structure that will combine clinical and research work as routine for those pharmacy professionals who wish to pursue a research career, rather than obliging them to pursue one role at the expense of the other. This will require the provision of integrated training and qualification opportunities together with strong research leadership at national and local levels and a clinical research environment supportive of individuals wishing to pursue research careers at all levels. Culture: Create a culture in which pharmacy professionals recognise the importance of pharmacy research to the health of the nation and the future of the profession. Workforce: Develop a flexible and future-proof workforce where research for patient benefit is at the centre of practice. Knowledge Sharing: Support the dissemination and application of knowledge through the development of communication infrastructures and lasting partnerships. Research Priorities: Identify and prioritise emerging research themes for Pharmacy Wales which improve patient outcomes.